The second season of TCR China kicks off this weekend at the Zhuhai International Circuit with the NewFaster Team defending both the Drivers' and Teams' titles won in 2017 when Andy Yan and Huang Chu Han finished as champion and runner-up respectively. The team will run again two Audi RS3 LMS cars for a new pair of drivers: Wang Hao (fifth in last year championship) and the 18-year old Touring Car rookie Carson Tang. The strongest competition is expected from TeamWork Motorsport's pair of Volkswagen Golf GTI cars driven by Sunny Wong and Alex Hui who were classified fourth and third in 2017. 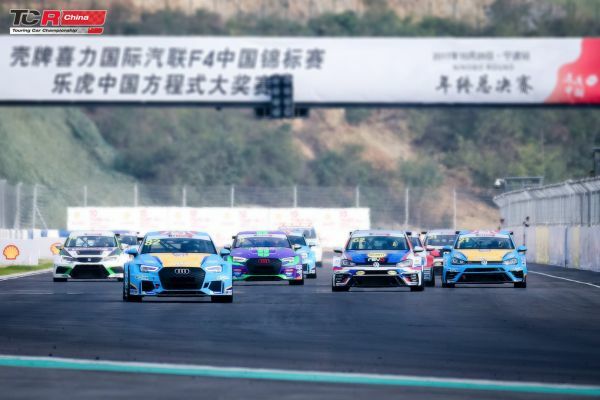 TCR China will be run on six events, returning to Zhuhai (7/8 July) and then visiting Chengdu (21/22 July), Ningbo (29/30 September), Wuhan (7/8 October) and Shanghai Jiading (24/25 November). The format remains the same as last year, with two 40-km sprint races and one 60-minute long race at each event in which the drivers may choose if sharing the car or not.